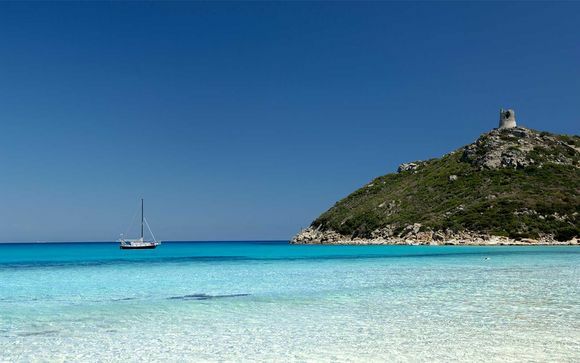 Weekends in Sardinia up to -70% off To take advantage of these offers, join now for free! 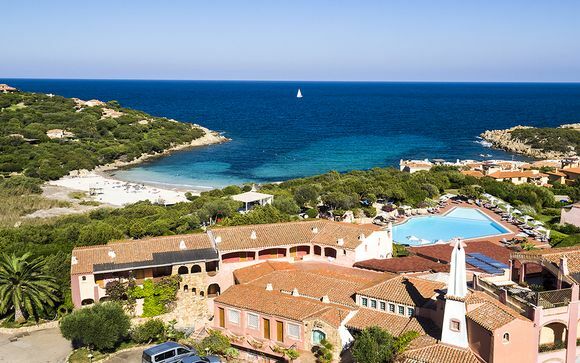 Thinking about taking a break in Sardinia? Be inspired and find fantastic deals on luxury weekend getaways to this island of adventure and beaches at Voyage Prive. 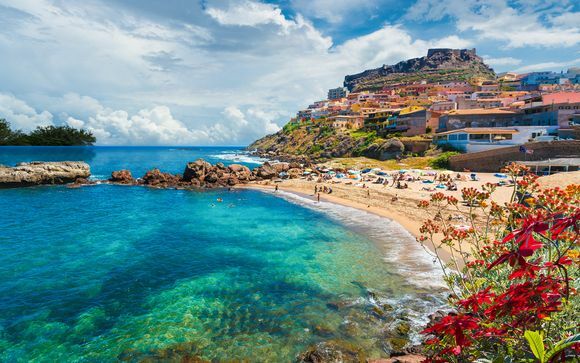 If you're looking for a taste of Italy but with less hustle and bustle, Sardinia is the perfect location for weekend getaways or, indeed, a longer vacation. 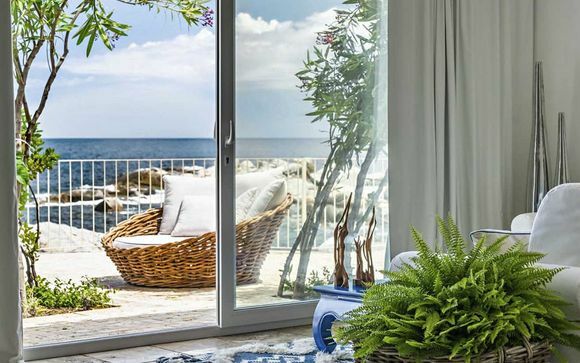 Being the second-largest island in the Mediterranean, there is no shortage of choice for the traveller seeking a luxury break in the sun. 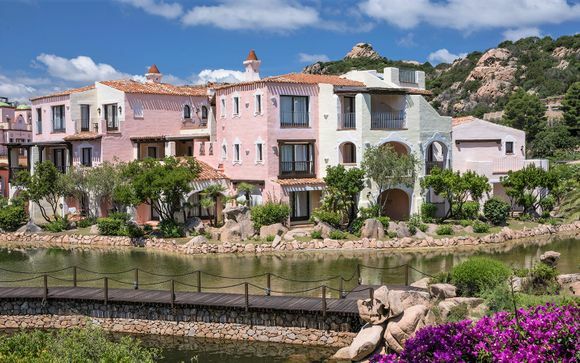 The Costa Smeralda is a sliver of coast bedecked with exclusive hotels, pristine beaches and high-end shops, and it's where Hollywood types like to hide themselves away. It really is that exclusive. Our handpicked offers and exclusive prices will give you a taste of the glamour enjoyed regularly by acting A-listers and the travel elite. If you drive to the top of Monte Mora, the highest of the granite peaks which guard the coast, you can see the islands of Tavolara and Caprera, home to birds of prey, orchids and, for a quarter of a century, Giuseppe Garibaldi, described by many as the Che Guevara of the 19th century. 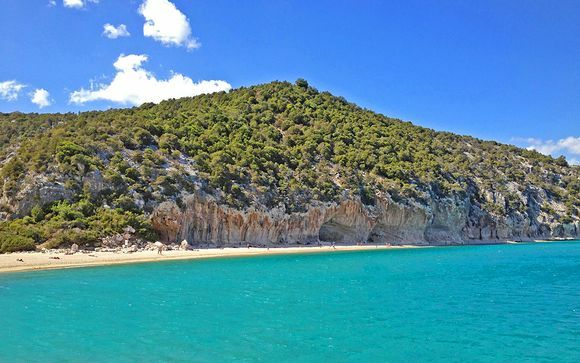 May and June are ideal times to visit Sardinia, but it enjoys a welcoming climate all year round. 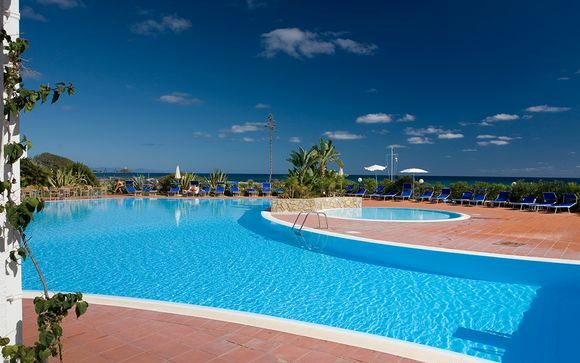 August is the busiest and hottest month but, at our luxury locations, you'll be a world away from any seasonal bustle. If you have time, arrive at the island by boat – or at least take a trip to enjoy the landscape from the clear waters surrounding Sardinia. On luxury weekend breaks, it may be difficult to tear yourself away from the hotel and those amazing beaches, but there is plenty to see and do in towns such as Sassari, Cagliari and Alghero. Alternatively, try somewhere a little more exclusive, such as the isle of Sant’Antioco, off the south-western coast. Sardinia has its own foods, its own wines such as Cannonau reds, even its own donkeys (blue-eyed albinos on the Isola dell’Asinara), so don't miss out. Those who venture inland will be treated to a more authentic taste of Sardinia's culture, particularly in the mountainous Barbagia region, south of Nuoro. Hire a car, and watch out for the island's 4million sheep, who don't always adhere to the basics of road safety. Sardinia remains an island of adventure – dare to walk the coastal path to Cala Luna bay, and its cliffs dotted with climbers. If you seek a little more silence, hike through the hushed interior to Tiscali’s nuraghic ruins, or pack a picnic and walk through oak forests to Gola Su Gorropu's boulder-strewn canyon. 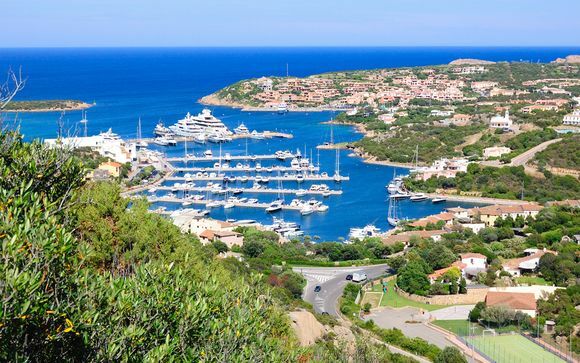 If you can't find a remarkable holiday on Sardinia, with as much luxury as you could wish for, you're not looking very hard. And, if you want to take advantage of our handpicked offers, simply sign up with us – because only members are offered our exclusive prices.